Cats really enjoy keeping to themselves. There are times when some will bother you to play with them by bringing up some kind of ball or string, and they’ll definitely climb all over you if it’s near feeding time. However, in general, kitties don’t really want to partake in activities that you want to do. This holds especially true in the art of taking pictures, which is sometimes hard to resist because they can be so darn cute. 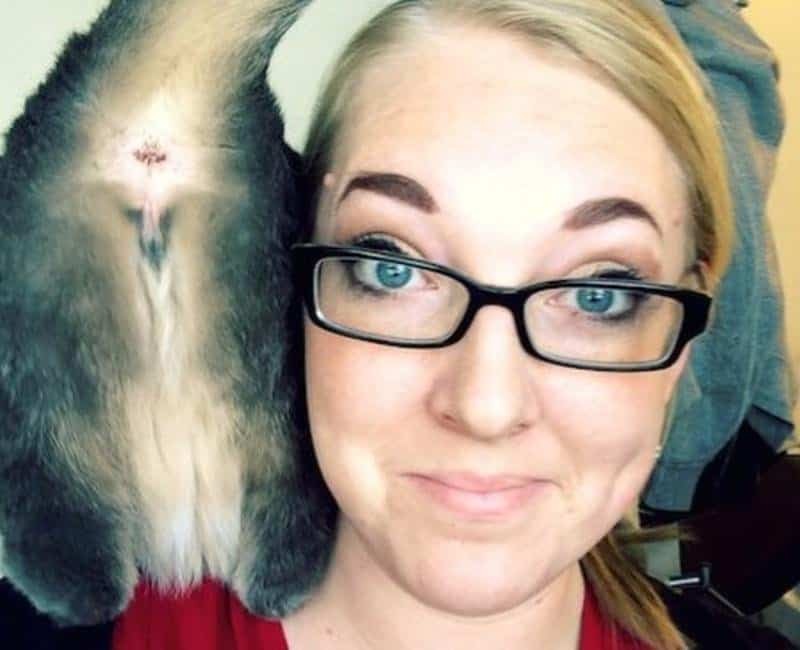 Here are some of the most hilarious results when it came to people getting their photo with the bundle of fur. They say a black cat can bring you bad luck if it crosses your path. For this girl, that came in the form of a scratch to the face. Maybe it was a shock to know that Batman was coming as the logo is displayed in the background. 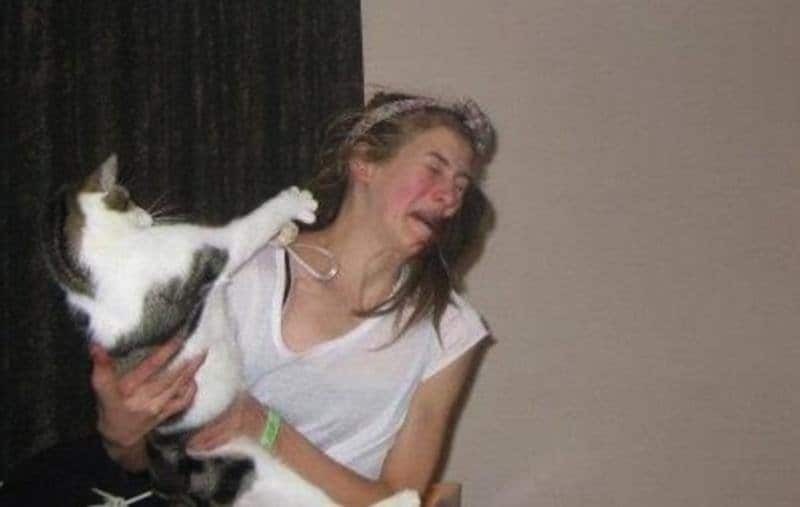 Or, the cat has become the next evil villain that the superhero needs to thwart. 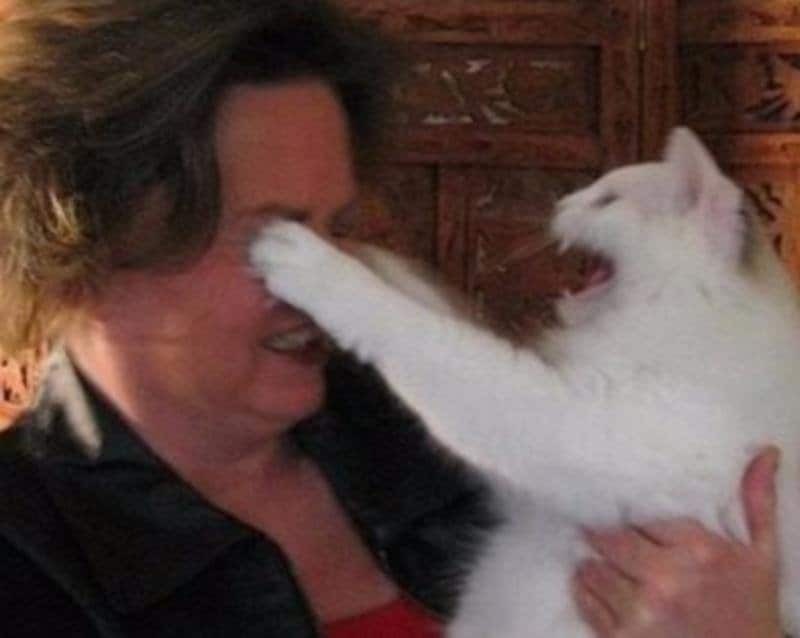 This woman wanted no part of the eventual clawing from this cat she was about to take. 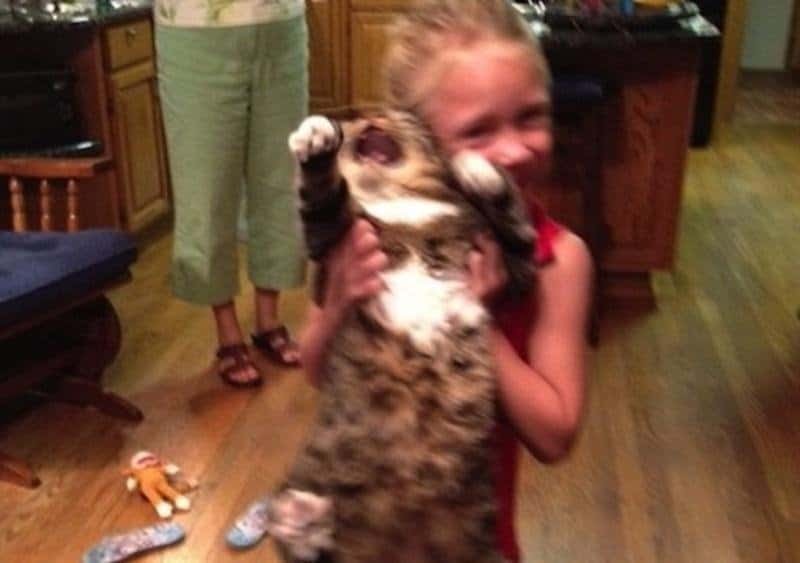 We can only wonder if she attempted to ever pick up a kitty again. 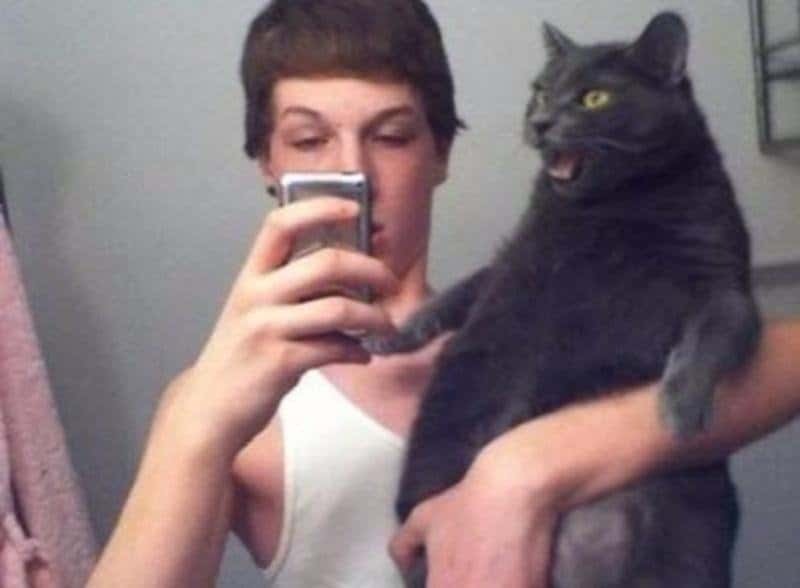 The expression on this cat’s face is priceless as this man probably doesn’t even realize he has his hand right on the cat’s special area. Any of us would make that face in that situation. At least the woman earlier didn’t get claws right to the face, especially at the eyes. Let’s hope there wasn’t much damage done to this poor lady. 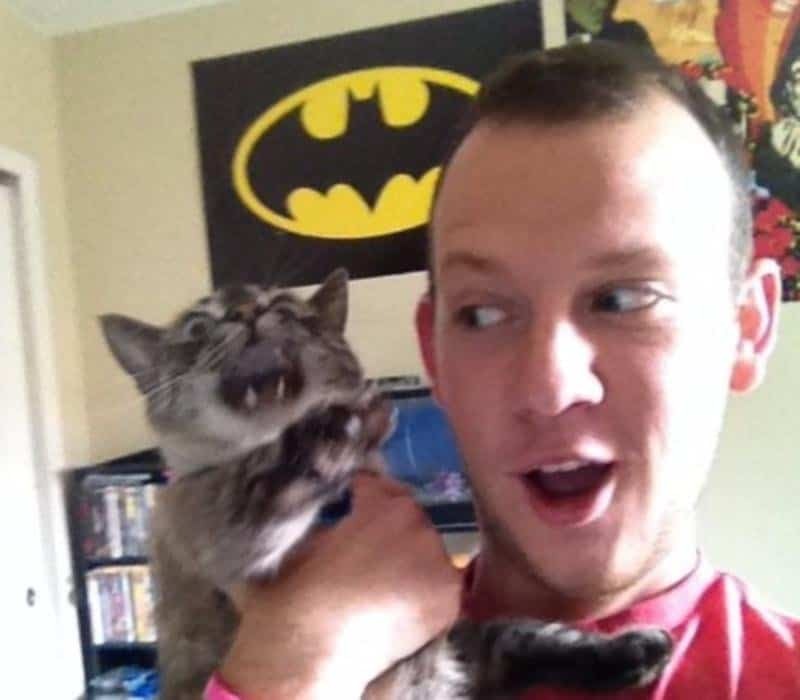 Sometimes cats don’t get along with everybody. It can take a while for them to get comfortable if you decide to bring in a second cat. They also may not take too kindly to your children. It’s not just the angry expression from cats that make this list. Some can show their opinion of disapproval in their own way, such as this kitty who decides to reverse their stance. 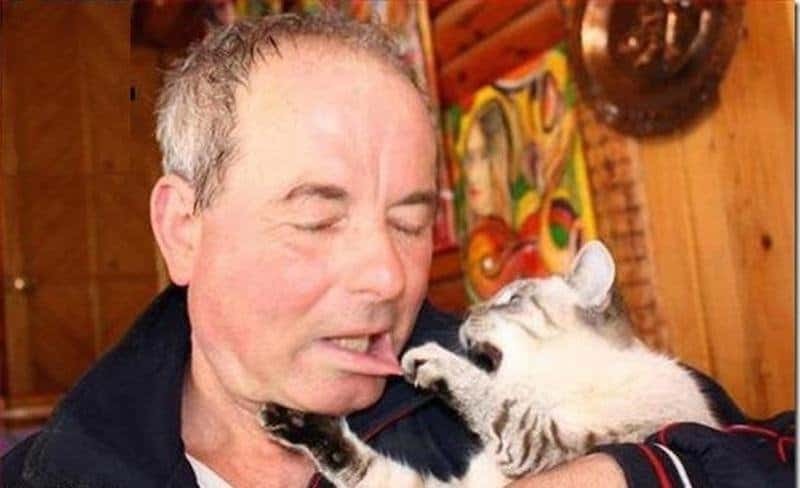 Unfortunately, you know there was a little damage to be had with this poor man’s lip as the cat tugs away at it with its claws. However, the expression on the guy’s face couldn’t be better. 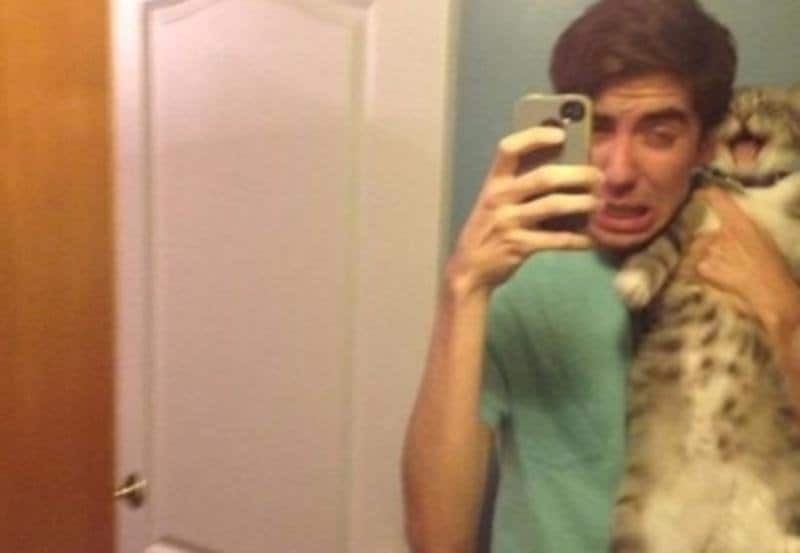 Was this man forced to take a picture with the cat? 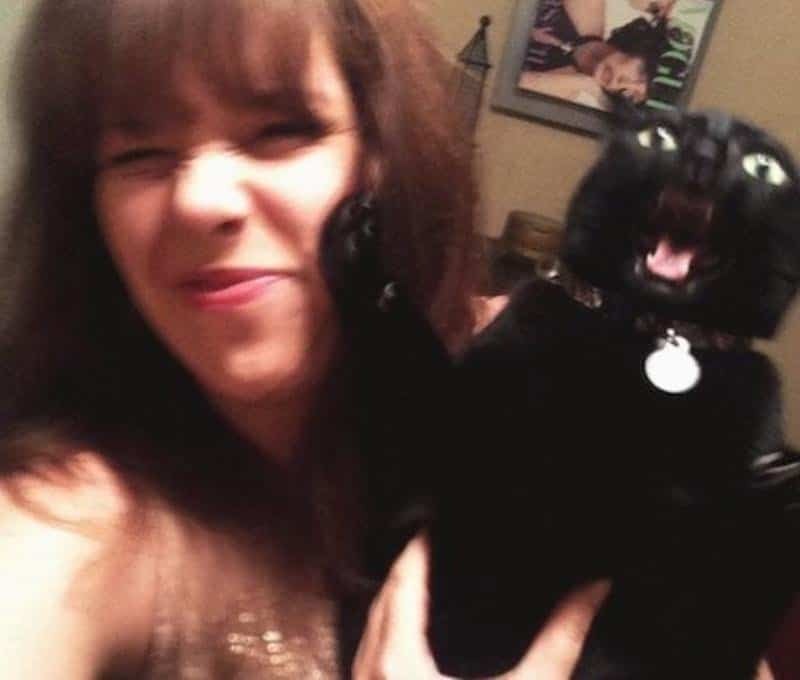 Neither of them looked like they wanted to be in this photo. 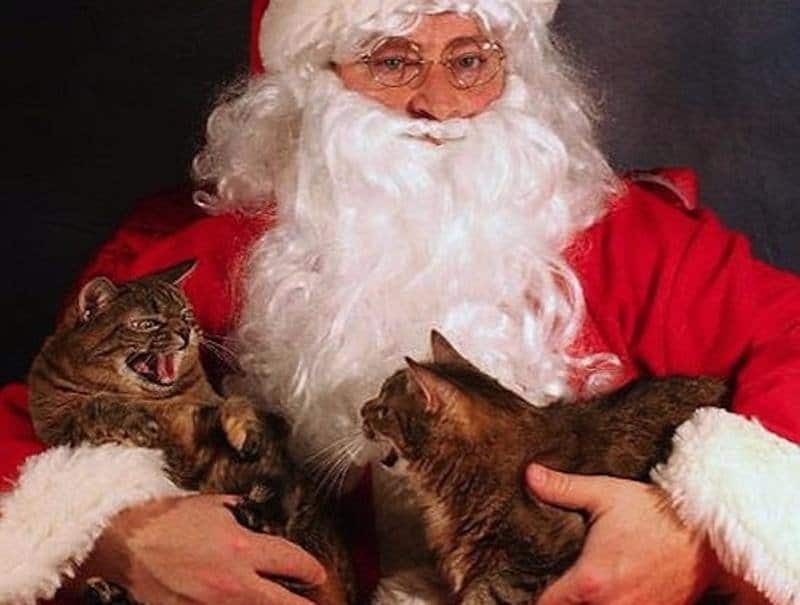 Another winning expression comes from Santa letting two cats sit on his lap. We don’t really know if they’re just angry at each other or for being on jolly old St. Nick’s lap, but it’s hilarious either way.